Ever heard of a golf course with a changing personality? 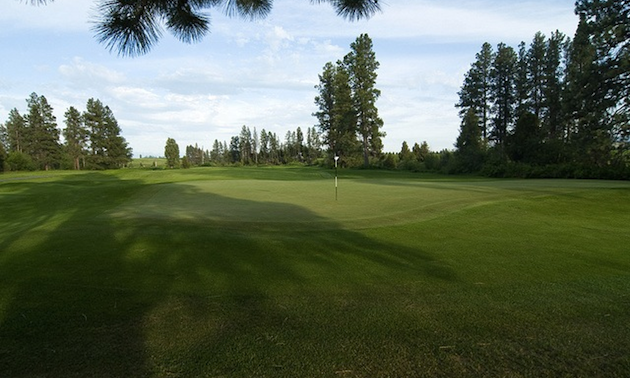 Look no further—check out Big Mountain Golf Club in Montana. Built in 1996, Big Mountain has an 18-hole championship golf course designed by Andy North (U.S. Open champion) and Roger Packard. The designers managed to incorporate two unique land types to impress golfers. Patrick Clary, PGA head golf professional at the club, said the course boasts two contrasting sets of nine holes. Clary added that the back nine is a more resort type of layout that follows the scenic Stillwater River. Players of all abilities are welcome at Big Mountain, Clary said. Cary said the abundant native grasses, the towering Ponderosa pines and the scenic river make a great combination for a good game of golf. Clary's favourite hole is No. 15, with its natural surroundings and the challenges it offers. At Big Mountain, members, pass holders and guests are offered a state-of-the-art practice facility—and with instruction from the golf professionals if desired, golfers have every opportunity to improve their game. Five different target greens at five different distances—and a variety of putts, a bunker and a short game practice area—ensure that there is no unfamiliar territory out on the course. If you need more tips, check out the course website; every hole is featured with tips on how to play the hole and what to beware of. There is nothing left to be desired at Big Mountain. The Deli is the course's sandwich shop, offering all that the hungry and thirsty golfer may need; in addition, the latest golfing equipment and clothing is available at the pro shop. And there is even more golf—Eagle Bend Golf Course is Big Mountain's sister club, so it is not unusual for players to check out both courses. Special features Clinics and instruction offered by experienced golf professionals, including Karen Kershaw, LPGA golf professional, who enjoys introducing women to the game. PGA head golf professional Patrick Clary gives tips on playing at Big Mountain Golf Course in Kalispell.